Josh Warrington will defend his IBF world featherweight title against mandatory challenger Kid Galahad on 15 June at Leeds Arena. 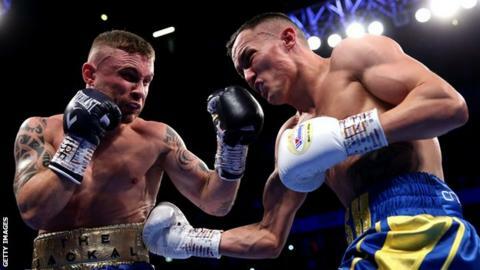 Warrington beat Northern Ireland's Carl Frampton in his first title defence in December and is unbeaten in 28 fights. "All of a sudden people are saying I am capable of beating every featherweight in the world, and with that comes expectation," said the Leeds fighter. Warrington, 28, added: "I will go into this fight as the bookies' favourite but I will be 100% focused and looking to do a job."